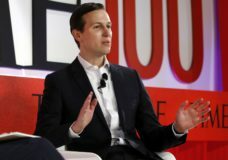 NEW YORK — White House senior adviser Jared Kushner said Tuesday the investigations into Russia’s interference in the 2016 presidential election “had a much harder impact on our democracy” than what Russia actually did. 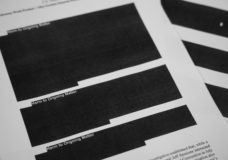 WASHINGTON — The chairman of the House Judiciary Committee issued a subpoena Friday for special counsel Robert Mueller’s report as Congress escalates its investigation of President Donald Trump. WASHINGTON — The Trump administration’s proposal for creating a Space Force as a new military service drew bipartisan skepticism in the Senate on Thursday, with several lawmakers questioning the need for expanding the military bureaucracy. WASHINGTON — Attorney General William Barr said Wednesday he is reviewing the origins of the Trump-Russia investigation, declaring he believed the president’s campaign had been spied on and wanted to make sure proper procedures were followed.